This thread includes comments and elaboration from the TD moderators. TD members are welcome to comment by posting here instead. Respect for others is expected in everything we write, and personal attacks are not allowed. Do not be disruptive through trolling, flame-baiting, and thread-jacking. A minimal level of grammar and spell-checking is required. Do not copy entire stories from elsewhere on the internet. Commercial spam will be deleted on sight and the poster will be banned. The site moderators have the capability and authority to edit or delete offending posts, and/or issue warnings which are sent via the site’s Notifications system; warning points may be recorded at that time when necessary. Additional infractions (including attempts to circumvent a ban, such as alternate accounts and IP proxies) may subject you to further moderator action. Please see the comments section below for information on warning points. We always prefer to work with members to avoid bans, but will act when the best interests of the site are at stake. If you see a posting that violates these guidelines, do not attempt to police the thread yourself with a complaint there in the thread, and most definitely do not respond with a post of your own in a similar offensive style; either approach may draw moderator actions toward yourself instead of your intended target. If it is a minor violation, it is usually better to just ignore it. However, if you believe it is a serious violation, flag the offending post to the attention of the moderators by clicking the "Report" link found at the bottom of each post (to the left of "Quote"). Appropriate action by the moderators in response to a flagged post may take some time; meanwhile just ignore the post in question, as well as anyone else’s ill-considered responses to it. And remember that an unchecked violation of TD policies does not mean it is suddenly open season. If you have a question or a concern about these policies or about moderator actions, please don't derail a baseball discussion. Instead, feel free to PM a moderator, or post in the "Questions About MinnCentric" forum, and we'll do our best to respond quickly. Thank you for your understanding and commitment to Twins Daily. Edited by ashburyjohn, 02 February 2019 - 10:36 AM. 1. Respect for others is expected in everything we write, and personal attacks are not allowed. This means respect for fellow TD members. It means also showing respect for players, team staff and ownership, journalists, the other teams and their players, player agents, players’ wives… everybody! It means giving others the benefit of the doubt; it means not being combative, nor looking to take offense at someone else's supposed "tone"; it means not labeling and classifying other posters or groups of people, or applying disdainful nicknames; it means turning the other cheek even when we feel we’re not being treated with respect ourselves. If your purpose in posting is to belittle someone, think twice. If you're trying to express your utter exasperation with another poster, think twice again. We talk about what has occurred with our favorite team and players, we debate past moves and speculate on future actions, we dissect ideas, we sometimes make jokes and kid each other. But it crosses a line when it becomes overly personal - questioning manhood, courage, honesty or intelligence, or pretending to know how another person’s mind works, or telling somebody to learn baseball. We don't get into arguments about who is a "real fan" or a "true student of the game". We don't use dehumanizing terms like "garbage", "animal", or "thing" in regard to a human being. The line is crossed whether it is about a fellow TD member, or about someone in the public eye. It's much easier to be accidentally disrespectful to other members (or unnamed groups of members) when you make it be *about* them. That doesn't mean it's always improper to address someone else personally; part of the fun of the site is the sense of community, and we can also joke with each other if it's not likely to be misinterpreted. But when in doubt or when it's contentious - especially if you somehow think you can correct someone else's behavior or change their opinion - just stick to the topic under discussion. 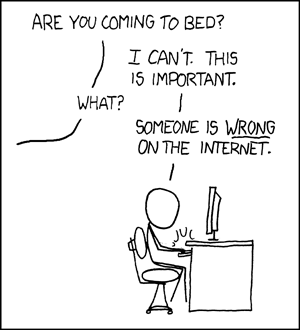 It's usually more effective to find a way to say "this is wrong" instead of "you are wrong." Again: the single biggest way posters run afoul of posting respectfully is when they start worrying as much about to whom they are responding as about the topic being discussed. One reason to be wary of making it personal is that you can not control how someone else will interpret what you say. No matter how clearly you try to write, shades of meaning can creep in. When someone misunderstands your statement of fact, they will usually say something that makes clear where the problem is. By contrast, when they misunderstand what you perhaps meant as a gentle joke at their expense, it becomes much harder to recognize and bickering may result without meaning to. The other side of the coin is to be wary of making it be about yourself. If you laud your own credentials, or tout some past record of predictions, etc, you make it very difficult for other posters to avoid responding in a way that is also personal. If you choose to make it be about yourself, grow some thick skin, while at the same time not assuming that the others around you have that same hide; and please don't come running to the moderators over minor affronts, nor turn it into bickering. Sometimes it is difficult to separate the person from the subject being discussed. Maybe someone's opinion is truly stupid or laughable; it's still better to say "I disagree because..." rather than "that's stupid/laughable because...". Trying to maintain that "I said the idea was idiotic, not that you are idiotic" is too fine a distinction to make in a thread with multiple posters and hundreds of readers. Words like "silly" and "ridiculous" are going to catch a moderator's eye, likewise a response consisting only of "lol". Explain why an idea is mistaken, don't just lazily attach an adjective, epithet or emoticon to the idea. And don't imply that the other person isn't being honest, or is not arguing in good faith. The appropriate response to a "stupid" post is either to rebut it respectfully, or to ignore it and move on - attacking the "stupid" poster will draw moderator attention and action. Affecting an air of superiority when you are certain that the other party is incorrect is not only contrary to TD policy, it rarely has the desired persuasive effect anyway. Even seemingly innocent phrases like "let's all just..." and "I think we all agree...", or repeating someone's turn of phrase mockingly, can have the effect of talking down to your audience. Keep the discussion to the facts as you see them, and avoid being dismissive or condescending, when you feel the urge to assert your superior analytical powers. The hard part is recognizing yourself in these descriptions; as this counselor states at one point, "who ever calms down when they're told to calm down?" Edited by ashburyjohn, 25 September 2018 - 10:11 AM. 2. Do not be disruptive through trolling, flame-baiting, and thread-jacking. A good forum thread often contains digressions - indeed they may be the most interesting or illuminating parts of a given discussion. And a negative opinion is not necessarily more disruptive than a positive one. ...these do not contribute to a lively discussion and instead cause participants to at best tune out or in many cases bicker pointlessly, often talking past one another. Bickering in particular is something the moderators will take action against. If you feel the need to angrily post "you completely mis-stated my position, if indeed you even bothered to read it", consider that if the other person isn't reading what you wrote, another post won't change matters. Instead, *IF* you think you can clarify what was misunderstood, try re-stating your position one more time, and after that let it go. Other readers will draw their own conclusions about who is making sense, if you've stated your position well. Don't keep arguing until others concede - all it takes is two such posters, and the argument will go on forever. Just, at a certain point... Let... It... Go. When in doubt about introducing a tangent, consider instead starting a new blog entry or thread topic, and invite readers of the current thread to come discuss your tangent over there. Or, if the topic of the discussion doesn't appeal to you, or you think it is irrelevant until all other larger issues have been resolved - well, life is short! Just move on to a thread you consider more constructive. And injecting the same opinions with marginal relevance into thread after thread, whether it be about the manager, a coach, a highly paid player, a poorly performing player, the general manager, the owner, etc., is not acceptable posting behavior. Posts by fans of other teams, done for the purpose of making derogatory remarks about the Twins or their fans, obviously will not be tolerated. Less obvious, perhaps, is that when a fan of another team takes part here in good faith, trolling of that person will not be tolerated either. Let's be good hosts to our visitors. Interrupting a thread with discussion of forum moderation also constitutes thread-jacking. If you have specific concerns about moderator actions, send a personal message to one of the moderators civilly instead, as we are more than willing to discuss this with you. Or if you wish to publicly discuss Twins Daily moderation and help us improve the site, feel free to create a thread in the "Questions About MinnCentric" forum and open a discussion. This policy is not an attempt to stifle conversation about moderation; its purpose is to improve baseball-related discussion and prevent thread-jacking. We remind you to try to ignore what you find distasteful or, if you can't, report it. Please do not try to police offenders yourselves or respond to them publicly. Actions the moderators take in response to reports are sometimes not apparent to the readership at large, but we do take all reports seriously and do our best to take action in an appropriate manner considering all the variables of content, intent and poster history, and not just a single word here and there. In the end you may not agree with or like our actions, or think them 'fair.' At such a point, please, just move on. Again, feel free to contact any of the moderators should you wish to have a private conversation. Edited by ashburyjohn, 28 August 2018 - 07:01 AM. 3. A minimal level of grammar and spell-checking is required. No, we ain't no Grammar Nazis here. And nobody's going to hassle you about a tpyo (unless it's inadvertently fanny). But if it's not worth your time to do at least a proof-reading pass of what you're about to submit, maybe it's not worth your readers' time either. If it looks like it was typed on your phone keypad upside-down after one too many adult beverages, orwithoutspacingandparagraphbreaksresultinginawalloftext, or with SHOUTING IN ALL CAPS, or with too many abbreviations and overly obscure "text-speak", it stands a chance of being deleted by the moderators, lol;#omg;rofl@u.
Edited by ashburyjohn, 11 January 2018 - 08:50 PM. This includes swearing, lewdness, and crude terms for body parts, bodily functions, and physical acts. This also includes visuals such as avatars and linked images. Certain terms (you can probably guess which) are automatically removed by the posting software - censor-bypass attempts are grounds for moderator action. Please be sensitive to the fact that comments relating to racial, cultural, religious, national, gender and sexual identity can be offensive, ditto locker room talk, even when there is no disrespectful intent. TD encourages humor, but please consider how someone who doesn’t know you might interpret your post. Overall, we don’t want content that the FCC wouldn’t approve for broadcast - keep it family-friendly. 5. Do not copy entire stories from elsewhere on the internet. Copyright law gives broad protection to content, and we want to respect that. Be particularly wary of posting more than very short excerpts from pay sites. The TD site software allows you to easily insert, into your post, a link to an article’s URL. If you're pulling a quote or an example to give people a taste of a story, or relaying a short Twins-specific note found in a long article about a broader topic, then it is likely “Fair Use” and it's fine to insert the words directly; indeed the author or organization may appreciate the publicity via the URL link. But if you're copying everything because you're too lazy to summarize yourself, then that's not fine. 6. Commercial spam will be deleted on sight and the poster will be banned. We all know what spam is when we see it. The Bad Guys don't care one bit about the purpose of the site. Use the Report button to alert the moderators if you happen to see spam before they do. By all means, if you have a post that you think our community would enjoy, post it here. I think you're much more likely to get feedback on a specific topic than just a general "look at my blog" post. And maybe even better response if you only do so with a post that you're especially proud of. I'd also encourage you, if you have a post you really like, to consider double-posting it on your blog here at TwinsDaily. If it's really good, we'll promote it to the front page, including any links back to your site that you include in the story. Thousands of people will see it on the front page and it might really help people find/bookmark your blog. You can find your blog here by clicking on "Blogs" and then "My Blog". We want people to find you. And we want to serve our readers by helping them find great Twins content. Keep it up, and welcome. On a totally separate topic, here is a writeup pertaining to a type of forum thread that differs greatly from the others. We believe the daily game threads during the season should be a little more relaxed than the normal thread. Think of sitting in the left-field bleachers with a few friends and acquaintances - people have a tendency to just chat and crack jokes during boring games or down times, and that's okay - we want you to stick around, even if you really have nothing to say. Deep discussions and extended back-and-forths may get made fun of here. Civility is still the rule, but a little more is tolerated. Okay: short posts, off-topic conversation, PG-rated joking with one another. Not Okay: hurtful posts, blatant rule violations, or being a grouch. Edited by ashburyjohn, 02 February 2019 - 10:48 AM. We are working in a very nebulous and dynamic environment. We are figuring out our policy for maintaining civil discussion as we go along. There are [several] moderators with different opinions. Every time each of those moderators checks in, they're in a different state of mind. And finally, we all have limits to the time we can donate to these forums. So there is no line. There is no limit. There are a lot of them, and they're always changing and that's the way it has to be. So just stay the hell away from it. - We have 2757 users right now on Twins Daily. - Every day, we have about 300 active posters. - We keep needing to delete stuff or warn about 5 to 10 members. When about 97% or our community can consistently stay away from the line, I'm confident that the other 3% can figure out a way to, too. And if you are unfairly penalized - deal with it like a grown up. Re-do your deleted post in a more civil manner so you can still make the point. Sit out of the forum for three days (or seven days) and just read things. Maybe see how others stay away from the line. Or enjoy another site. Or do something else. You'll live. Let me share one last thing. I've talked to several people who run national sites much bigger that TD and here's how they do things - they see a post that makes them think they probably don't want that guy on the board and they just block the IP address. They do not think twice about it. No deleted post. No warning. No temporary ban. This is common, because they just don't have the time (or, frankly, the incentive) to rehabilitate anyone who looks like a moron. When they told me that a year ago, I was aghast. It seemed arbitrary and unfair. Now, with as much time as I find having to moderate or explain the process of moderation to others, I'm a lot more sympathetic. To be exceptionally candid, my life would be a lot easier with permanent bans on about seven members. And as stretched as we are right now with time, that might be enough reason. That might be the new line. Again - this isn't that hard. Be civil. Leave your ego out of it. Don't try to "win". Stay away from the line. TD moderators sometimes invest considerable time composing messages to fellow site members. Here are a few recent ones, edited slightly into short essays, on the subject of contributing respectfully. They seemed worth sharing more widely. I wish you could just make your point without characterizing the other poster in the process. There are many people on here who will, intentionally or unintentionally, push your buttons. Above are your four options. I know you can 'take care of yourself' in such instances, but doing so creates the problem of 'unenjoyable' reading for others. So, refrain! Be the hero, and let it be. Worry about yourself, and less about other posters. It isn't constructive to argue about whether or not a TD poster's personal opinion trumps that of the Twins. This is an internet site where everyone is entitled to an opinion as long as they are respectful; people are well within their rights to have differing opinions. Arguing that someone's opinion doesn't matter because they aren't a member of the Twins front office is inherently disrespectful, and isn't a good place to go given that this board has only 1 confirmed member of the Twins front office posting here and this forum is open to the public. If you see yourself in one of these images, maybe just take a break and come back tomorrow. Edited by ashburyjohn, 18 February 2019 - 10:33 AM. The vast majority of posters never need be aware of the TD warning system. But in cases of violation of posting policy, site owners and moderators have the authority to issue warnings, which usually come with one or more points. Such warnings are delivered in an automated fashion via the Notifications system (accessed via an icon near the top of each page that will be highlighted if you have a notification pending), indicating the reason. Please note that a moderator might also choose to reach out to you informally via a PM; unless a warning point is mentioned, such a PM is informational only, and is merely a request to modify your behavior. Warning points ordinarily are assessed one at a time, but flagrant violations could result in more. Each warning point expires (becomes no longer active) 120 days after being issued. The site staff can view everyone's warning record, but no other readers will see or know about yours. The system is automated, so that when you reach a certain number of active points, your posting privileges are temporarily suspended, i.e. you are "banned". Do not expect a separate warning message that this has happened, or is on the verge of happening. If you can't post or send PM's, check your warning point total before asking for help. 3 active points results in a 24 hour ban. You can still send PM's. 4 active points results in a 72 hour ban. You can still send PM's. 5 active points results in a week-long ban. You cannot send PM's. 6 active points results in a month-long ban. You cannot send PM's. Site staff also have the capability to make a ban permanent, if a poster demonstrates chronic indifference/hostility to site posting standards.